So how does one attract attention to their cosplay? 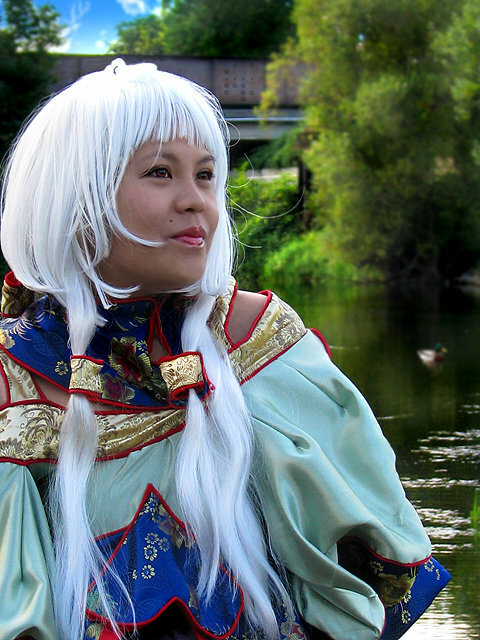 These are the most well-known ways for a cosplay to shine, but one day I was walking around at SakuraCon (previous year) and my eyes were immediately drawn to a cosplayer. Her outfit was amazing and beautiful. But it wasn’t because of the details or the accuracy. It was the fabric choice she made. Instead of using a single colour cotton material, or shiny taffeta, she used Chinese Brocade. I can say that it made more people comment on my outfit.